Our service has no limits! Rent a container for your waste materials and recycling. 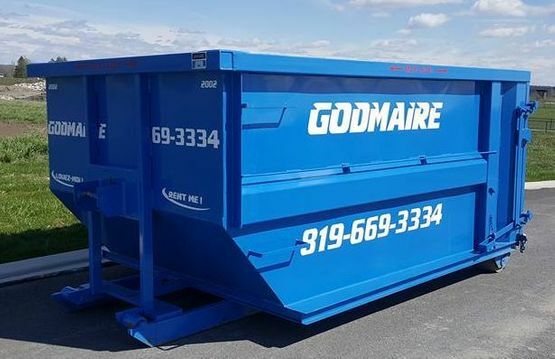 Godmaire Location has been in business since 1984 and is proud to offer a container rental service in Gatineau, Ottawa and the surrounding area. Our company continues to grow, which is particularly down to our guiding motto, that we have used from the very beginning: Our service has no limits! We will meet your needs, whether you are in the commercial, residential or industrial sectors, helping you to dispose of your waste materials in the most economical and environmentally-friendly ways. Godmaire Location specializes in supplying and transporting temporary containers. Once you receive the container you requested, you can start filling it with your various dry waste and metal waste. When you request our services, rest assured that all your waste will be processed with the utmost in environmental care. Find out more about the importance we place on the environment by discovering the unique features on our trucks. We have containers of all sizes to suit all your needs. Right from the start, we aim to offer all our customers a service without limits. This approach has brought great success to our business, helping us to grow and expand the size of our fleet. If, for example, you are a construction contractor and your contract is outside of Gatineau or Ottawa, we can still help you. By paying just a little extra, your project can benefit from our excellent service! Are you pressed for time? At Godmaire Location, we are very aware of tight deadlines. Therefore, we are proud to say that we can help you out in less than three hours, unlike our competitors, who usually deliver containers in 24 to 48 hours. We recycle many types of materials with the utmost respect for the environment. We have all the right equipment for smart waste disposal. Ontario Additional fees apply for longer journeys.